Bluesky Samoa, in collaboration with Business Systems Limited (B.S.L. ), donated $15,000 to the Iva Sevens rugby tournament yesterday. 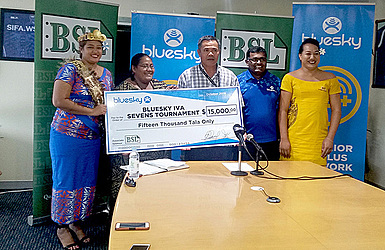 Tournament organisers accepted the donation at Bluesky’s headquarters at Maluafou. 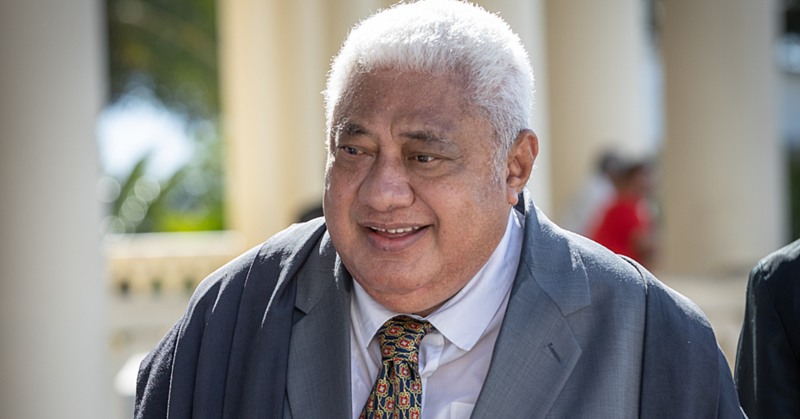 ReverendTonuMauafu said the tournament is a pathway to develop the game of sevens rugby amongplayers in Savai’i. “We are thankful to Bluesky and B.S.L. for their support for our 10th year celebration of the establishment of sevens rugby in Iva, Savai’i,” Rev. Tonu said. “The donation will be allocated towards the prizemoney for our tournaments, which $10,000 is for the winner of our main tournament. Rev. 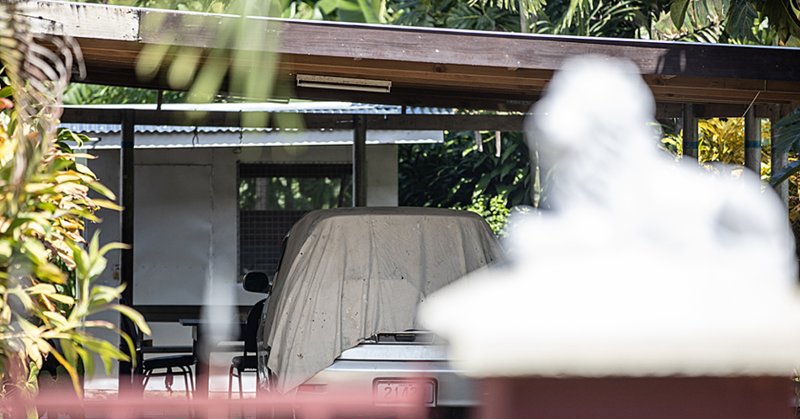 Tonu said the programme will open with a parade from Iva to Prince Edward’s Park and there will also be an U18 sevens tournament where Leulumoega Fou College in Upolu will compete with seven teams from Savaii. “In honor of Pinktober, we will also help promote awareness of cancer by wearing pink,”Rev. Tonu said. Country Manager for Bluesky, Alex Abraham said they have supported this event for the last four years. B.S.L. 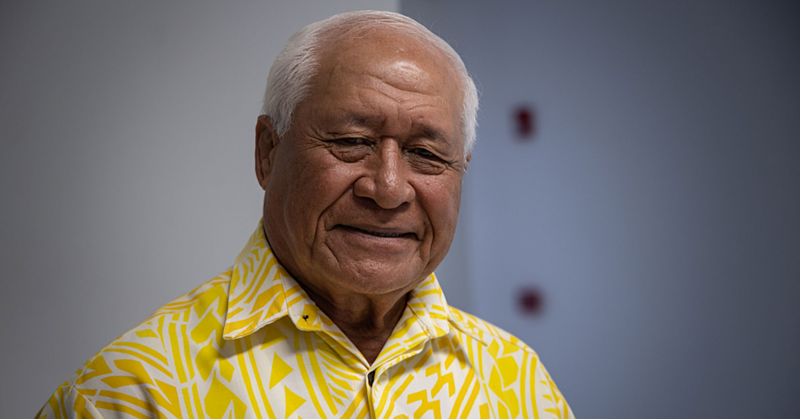 Marketing Manager, Leeroy Feaunati said it is all part of B.S.L’s assistance not only through education, but also sports where a healthy lifestyle is significant in having a healthy learning mind.